Sixteen year old Zurich Cricket's fast left arm bowler George Gaillet, has set his sights on swimming the length of Lake Geneva for charity. Last year George already swam the length of Lake Zug in an effort to raise money for Water Aid. The project was a great success as he completed the swim and was able to raise £2,560 for the charity. 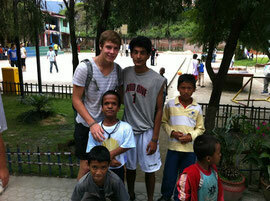 In September 2012 he visited an orphanage in Kathmandu, Nepal called Nawa Asha Griha. George wrote that it was a heart wrenching experience and he was deeply moved. After returning home he decided to make a long term project of raising money for the orphanage by swimming another lake, a far longer one. 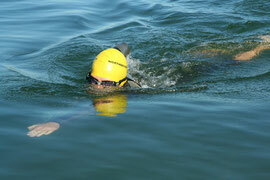 In July 2013, he will be attempting to swim the length of Lake Geneva (75km), over the course of 5 days. This will be a far more difficult undertaking than before, he will need a lot more endurance, but says he is willing to go the extra mile(s) and hopefully reach a target of 5,000 CHF and beyond. At the recent Zurich Crickets CC Annual General Meeting the members voted unanimously in favour of the club supporting George in this endeavour by sponsoring him. George clearly has tremendous determination and commitment to a cause. It has been mentioned that his love of cricket and his experiences playing for ZCCC and the national team over the years have contributed to these qualities. Anyone interested in finding out more about the swim this summer can visit George's website. It contains lots of information about the swim and the orphanage he is raising money for.